Standing on Lexington Dam. --> note the red arrow marker added for reference. 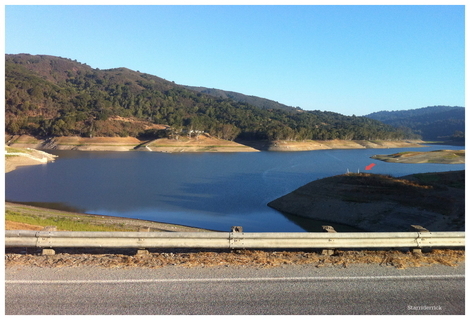 When this Norcal reservoir is at 100% capacity (19,456 acre feet) the white posts are covered by over 20 feet of water.